Cupertino is located at the southern end of the San Francisco Bay. The eastern part of the city, located in the Santa Clara Valley, is flat while the western part of the city slopes into the Santa Cruz Mountains. Cupertino borders San Jose and Santa Clara to the east, Saratoga to the south, Sunnyvale and Los Altos to the north, and Loyola to the northwest. Vallco Shopping Mall (formerly Cupertino Square and Vallco Fashion Park), at the center of Cupertino, includes department stores (including JCPenney, and Sears), an ice center, bowling, and an AMC theater complex. It hosts a farmer's market on Fridays. Hollyhill Hummingbird Farm educates the community on growing fruit and vegetables, and raising chickens, in an organic and sustainable manner. The scenic Deep Cliff and Blackberry Farm golf courses are located near Monta Vista High School. The De Anza College has a large enclosed theater called the Flint Center which is the primary venue for performing arts in the West Valley that is widely used as a music hall by orchestras, such as the California Youth Symphony and the San Francisco Symphony, as well as numerous professional performers and groups. The center was also home to the unveiling of several landmark Apple Computer products, such as the Macintosh computer and the iMac. The Fujitsu Planetarium at De Anza College is the largest school Planetarium west of the Rocky Mountains and since its renovation, is one of the most modern in the world. Rancho San Antonio is a popular recreational area for hikers and biking activity. Rancho San Antonio is located between the Monta Vista area of Cupertino and the border of Los Altos. The Cupertino Historical Society has a museum at the Cupertino Community Center, located next to Memorial Park, which houses the Cupertino Veterans Memorial as well as an amphitheater that hosts events such as summer movies and Free Shakespeare in the Park. There are a variety of popular restaurants in the area. Few of them being The Mandarin Gourmet, Noodles & Company, Fontana, Pizza My Heart and The Melt. Paris baguette cafe is really popular as well. 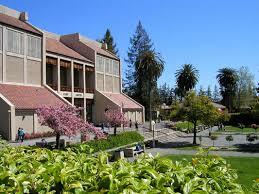 Cupertino is known for its high achieving primary and secondary schools. For example, Murdock-Portal Elementary and Faria Elementary School are tied for highest score for elementary public school in the state of California, per California 2011 API test scores. As of 2013, John F. Kennedy Middle School is the best school in the state. Lawson Middle School is the third best in the state. Furthermore, Monta Vista High School is ranked number 23 out of all the public schools in the nation. Primary (K-8) public schools are organized into the Cupertino Union School District, while the Fremont Union High School District is responsible for high school students (except for a tiny portion of the northest corner of the city which belongs to the Santa Clara Unified School District). Cupertino High School and its feeder school, Hyde Middle School, are located in the Rancho Rinconada section of Cupertino, while Monta Vista High School and its feeder, Kennedy Middle School, are in the Monta Vista neighborhood in the western half of Cupertino. There is also a new school called Lawson Middle School that feeds mostly Cupertino and Monta Vista High. In addition, Homestead High School is located in the northwestern portion of Cupertino, along the city border with neighboring Sunnyvale. The school system covers Cupertino plus some southern areas of Sunnyvale and Los Altos and some western areas of San Jose. Monta Vista, Lynbrook, and Cupertino High School are all noted for being some of the highest achieving public schools in the nation with many students attending Ivy League and other top institutions. 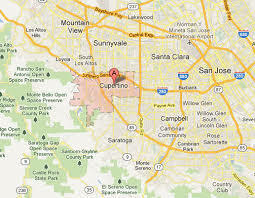 Cupertino is made up of numerous subdivisions, most of them developed since the 1960s. Most of Cupertino's contemporary properties were developed between 1960 and 1961. The area between Stevens Creek Boulevard, Miller Avenue, Bollinger Road, and Lawrence Expressway contains 223 Eichler homes. Two of the newest parts of Cupertino are among its oldest housing tracts. Monta Vista and Rancho Rinconada were developed outside of the city's boundaries in the 1950s and before. Rancho Rinconada was annexed in 1999 and the last part of Monta Vista was annexed in 2004.The neighborhood of Seven Springs is at the Southern tip of Cupertino and was developed in the 1980s. The newest and most northern neighborhood, Oak Valley, borders Rancho San Antonio Park and was developed around the year 2000. Cupertino is known for its expensive housing prices as the majority of residential properties are multimillion-dollar homes, with the entry-point into a single family home at about 1.5 million dollars. Many homes are in the upper $1 million to $3.5 million range. The high cost of living in Cupertino is attributed to the high-quality schooling, safety of the town, and its central location within the Silicon Valley. The city has attracted many high-income professionals and executives many of which are all cash buyers. The price of housing in Cupertino seems to have weathered even the 2007–8 slump in economy.